New name for Grand C4 Picasso. Citroen renamed its Picasso range - with the Grand C4 SpaceTourer replacing the Grand C4 Picasso. It's in a bid to bring the MPVs in-line with the SpaceTourer van-based people carrier. The first Citroen C4 Picasso was introduced in 2006, with sales of the French people carrier remaining bouyant as the market shifts towards SUVs. However, insiders reportedly felt that there was an unnecessary divide between the small and large MPVs caused by the different naming strategies. 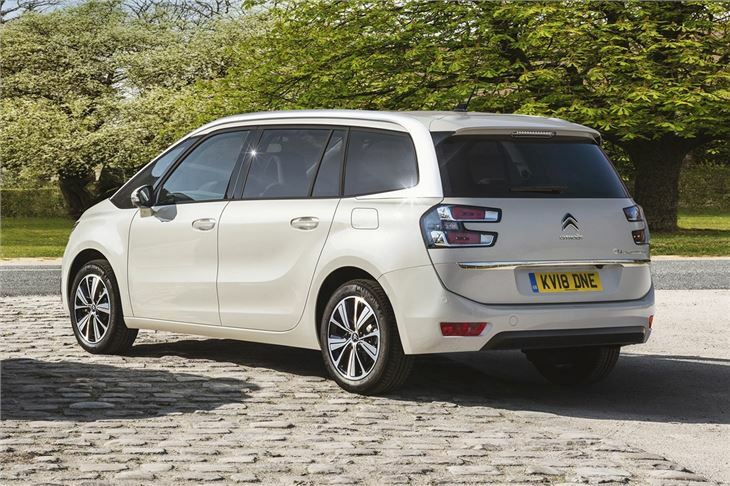 The carmaker says its three MPVs "benefit from Citroen's know-how in terms of space, practicality and well-being." Along with the name change, new safety kit will be available on both the C4 SpaceTourer and Grand C4 SpaceTourer. A new safety pack comes as standard on all top-spec Flair models including a driver attention alert, speed sign recognition and active safety brake. A 160PS BlueHDi diesel is available paired with the latest EAT8 automatic gearbox. Although fuel economy figures are yet to be confirmed, Citroen says the eight-speed gearbox reduces fuel consumption of up to 7 percent compared to the EAT6 'box. The stop-start function now kicks in at speeds up to 12mph, while a 2kg weight saving also aids efficiency. Prices for the C4 SpaceTourer start at £21,125 while the Grand C4 SpaceTourer costs from £23,425. The new BlueHDi 160 diesel engine was introduced fin une 2018 with prices starting at £27,550 and £29,250 for the C4 SpaceTourer and Grand C4 SpaceTourer respectively. The EAT8 gearbox will be paired with other engines later in 2018.